LG Wood Shine missing the wood? LG has announced a new mobile handset for inclusion in its Shine product line, and judging by its design, it seems the company is looking to bring a more unique and stylish look to its lineup of products. Dubbed the LG-LB2005H, the new handset is comprised on an entirely wood-like body and features metal accents to make the design even more stylish. LG explained that it was going for a "more natural look" with this handset, and promised the same feature set you expect from comparable products. Echoing that sentiment, the LG-LB2005H supports DMB TV, and includes a 2-megapixel camera, an MP3 player, Bluetooth, and an electronic dictionary. 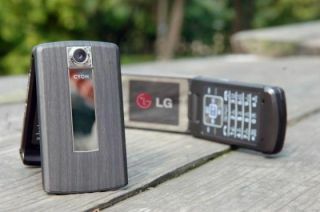 Interestingly enough, LG's decision to call the handset the Wood Shine is a bit of a misnomer. According to the company, the device is not actually made of wood, but is comprised of a wood-like high-end design pattern that looks just like wood. So far, LG has yet to announce any further details on the phone. Even worse, the company has yet to release any word on pricing or availability. But considering it was originally announced in Korea (LG's country of origin), the phone will probably hit shelves in that country first.